The annual NBA Summer League came to a close on Tuesday night and this year's event featured a pair of former Huskers in Shavon Shields and Tai Webster. Terran Petteway, Shavon Shields and Tai Webster will all participate in the various NBA summer leagues over the next couple of weeks. 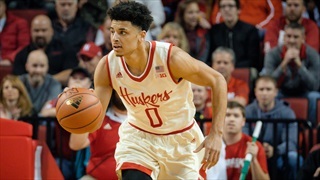 Former Nebraska guard Tai Webster participated in the annual Portsmouth Invitational Tournament last week and his team took home the title with a dominant 3-0 showing. 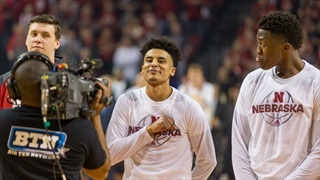 With the 2017-18 Nebrasketball season in the books, it's time to begin looking back at how the season went as we head into the offseason. 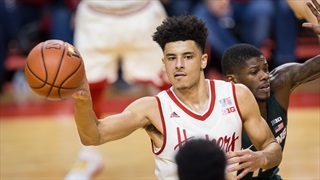 Nebraska senior guard Tai Webster was named second-team All-District 7 by the National Association of Basketball Coaches on Wednesday. Dictrict 7 encompasses the Big Ten region. 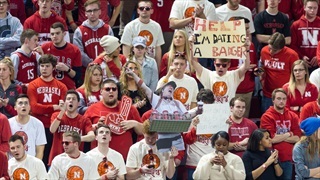 Nebraska rallied back a couple of times, but in the end too many scoring droughts cost the Huskers a chance to extend their season beyond Wednesday afternoon. 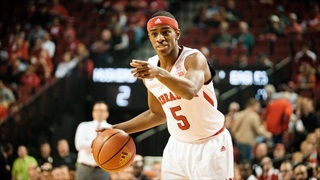 The Big Ten announced its postseason honors on Monday and Nebraska senior guard Tai Webster earned some recognition. 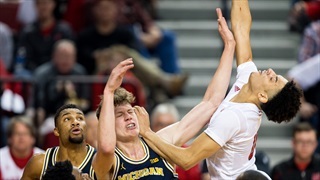 Michigan walloped Nebraska 93-57 on Sunday night, closing out the regular season and confirming that the Huskers will be competing in the play-in round of the Big Ten Tournament. Notable quotes from Nebraska’s 93-57 loss to Michigan. If Nebraska can snap its three-game losing streak on Sunday against Michigan, the Huskers can secure the No. 10 seed in the NCAA Tournament and avoid Wednesday's play-in round. 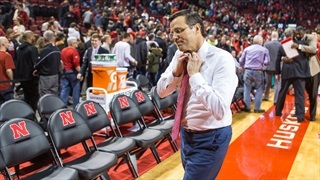 The Huskers hit the road for the final time in the regular season on Thursday night and will head home with their third straight loss after Minnesota ran away from the Huskers for an 88-75 win. A late first-half run gave Michigan State a big lead heading into halftime and the Spartans didn't let up in the second half as they cruised to a 16-point win over the Huskers. 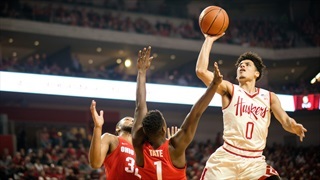 Nebraska knocked off Ohio State on Saturday night, avenging a one-point loss to the Buckeyes from earlier in the season with a one-point victory in round two. 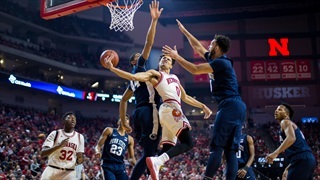 Nebraska never trailed and blew the game open in the second half for an 82-66 win behind four double-digit scorers. 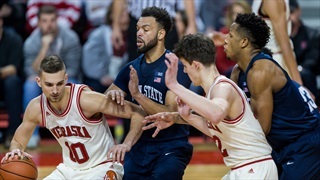 Notable quotes from Nebraska’s 82-66 win over the Penn State Nittany Lions. Michael Jacobson hit his first 3-pointer since Dec. 3 to send the game to overtime, but preseason Big Ten Player of the Year Nigel Hayes hit a 3-pointer of his own in overtime to put the Badgers up for good. 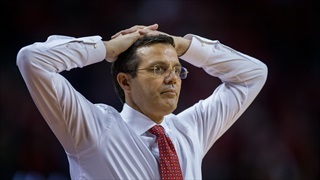 Notable quotes from Nebraska’s 70-69 loss to the Wisconsin Badgers. All season long, the Nebraska backcourt has driven the team. However, in Sunday’s loss at Iowa, it was the frontcourt who carried the team as the backcourt struggled. With Ed Morrow Jr. still on the shelf and Glynn Watson Jr. limited, the Huskers couldn't muster enough offense to keep up with the Hawkeyes in Iowa City. 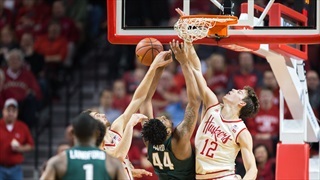 Michigan State shot the lights out from the perimeter en route to a 12-point win over the Huskers, putting a damper on Tyronn Lue's jersey retirement celebration at Pinnacle Bank Arena on Thursday.